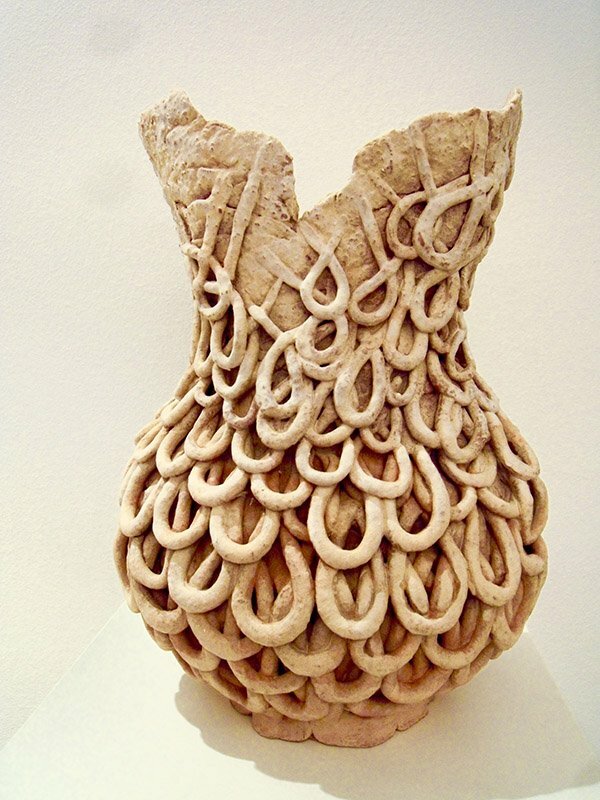 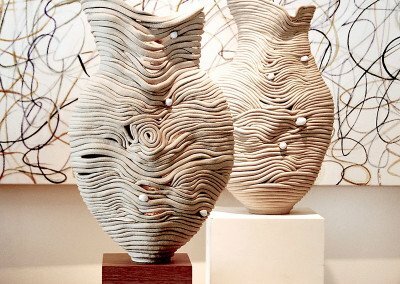 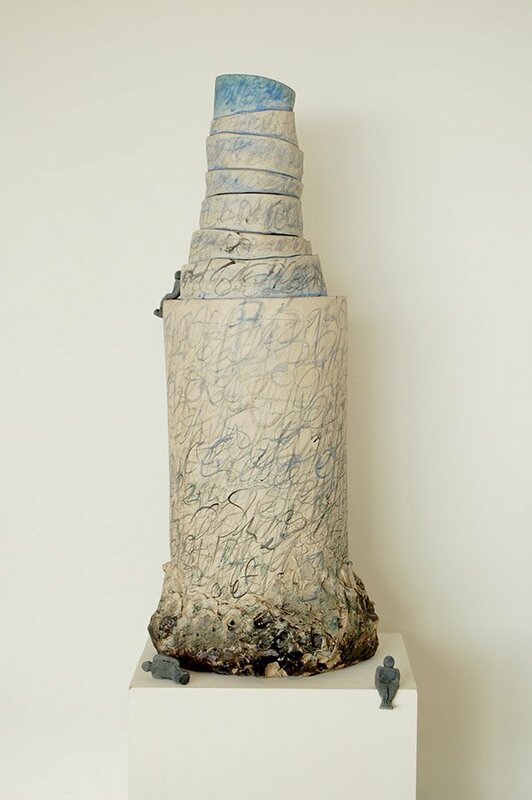 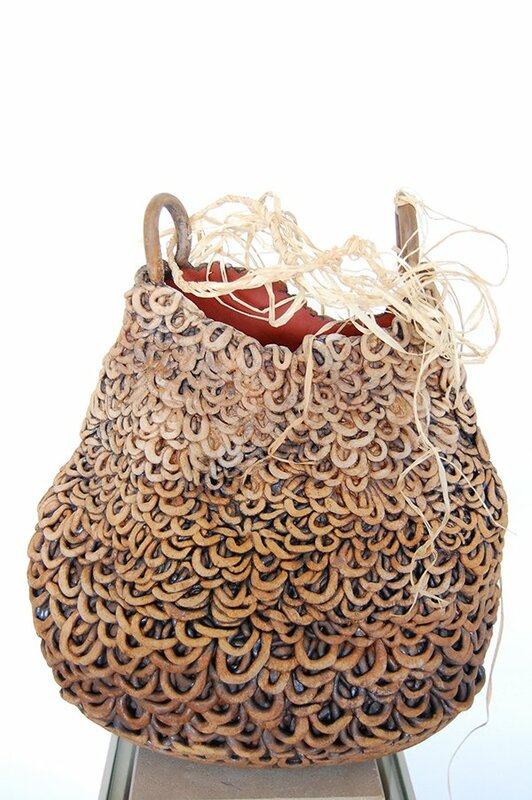 The clay body is an ancient body of recycled lives and untold tales. Each coil that I roll could be a thousand years old. 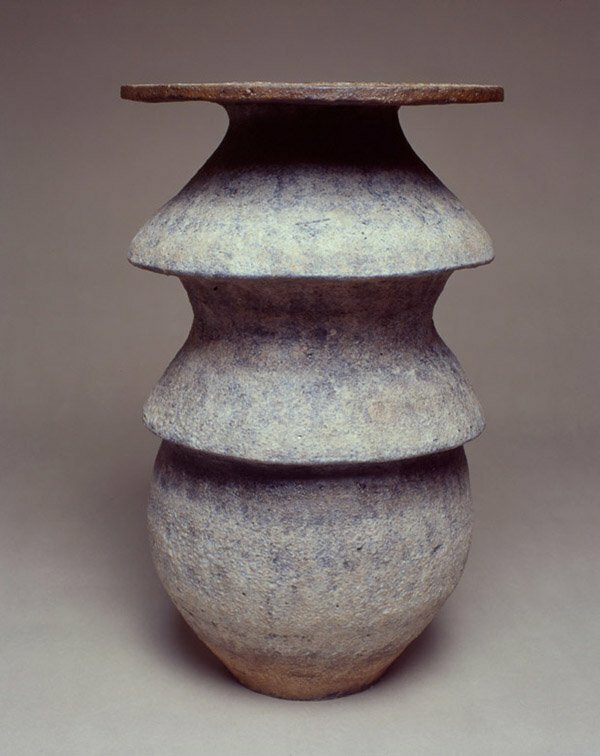 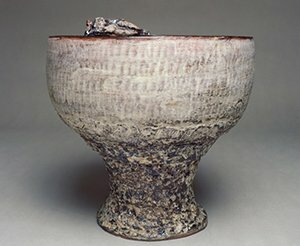 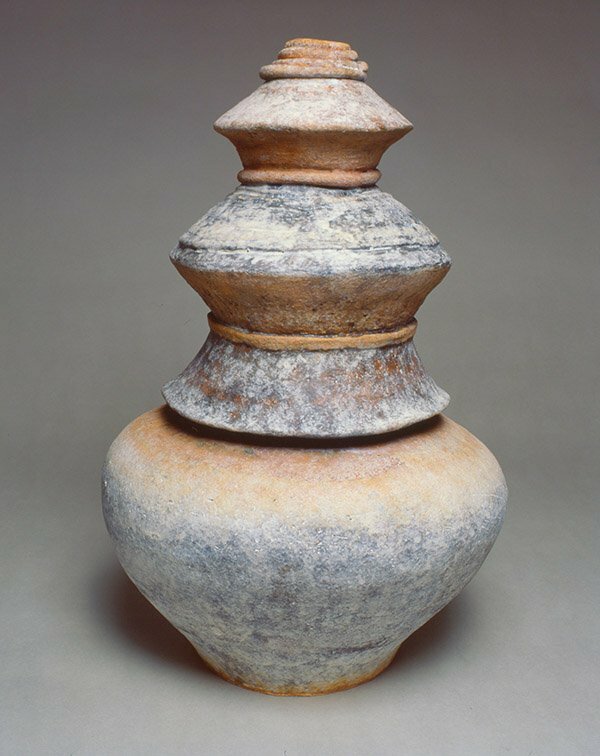 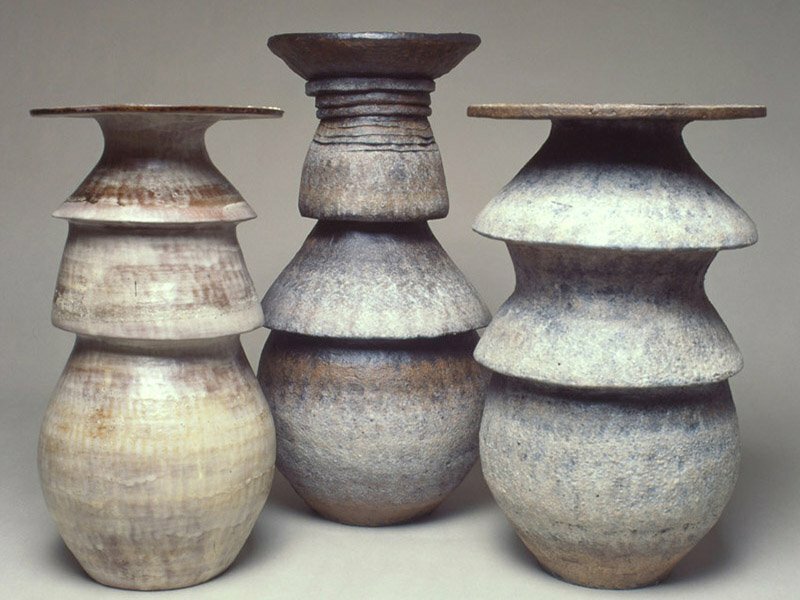 When I look at ancient ceramics, I am fascinated by how they can express the sacred, despite their simplicity. 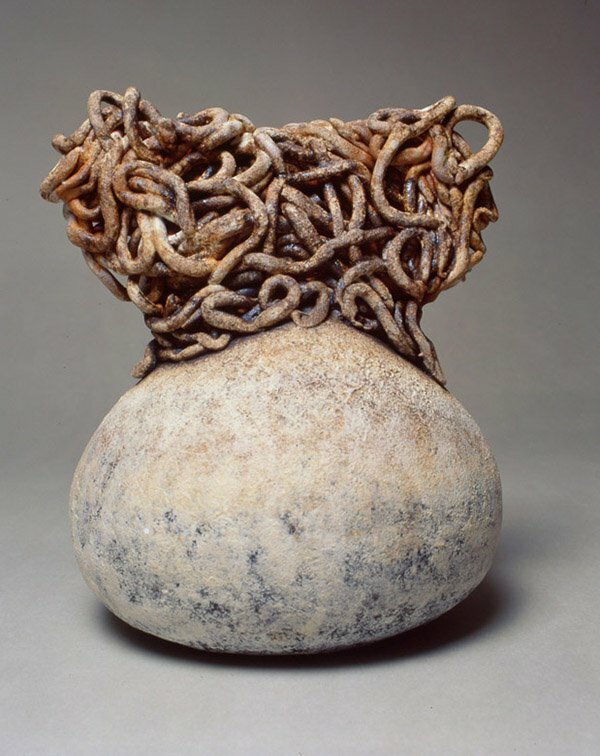 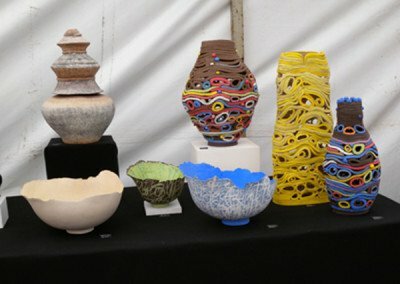 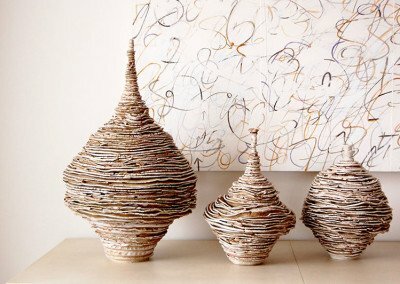 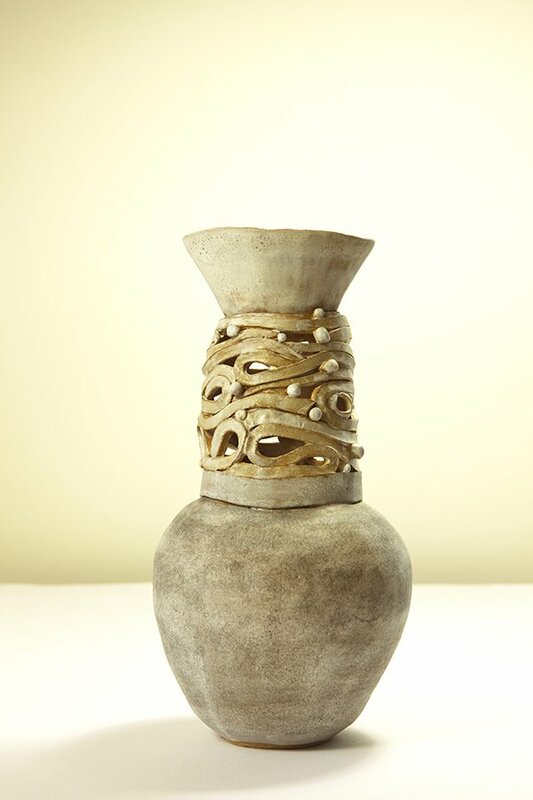 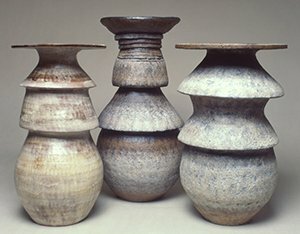 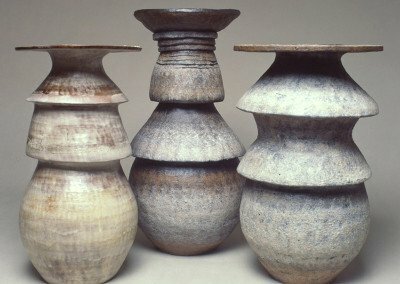 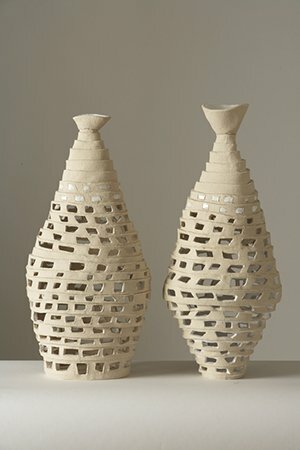 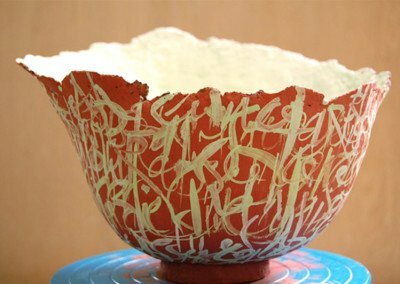 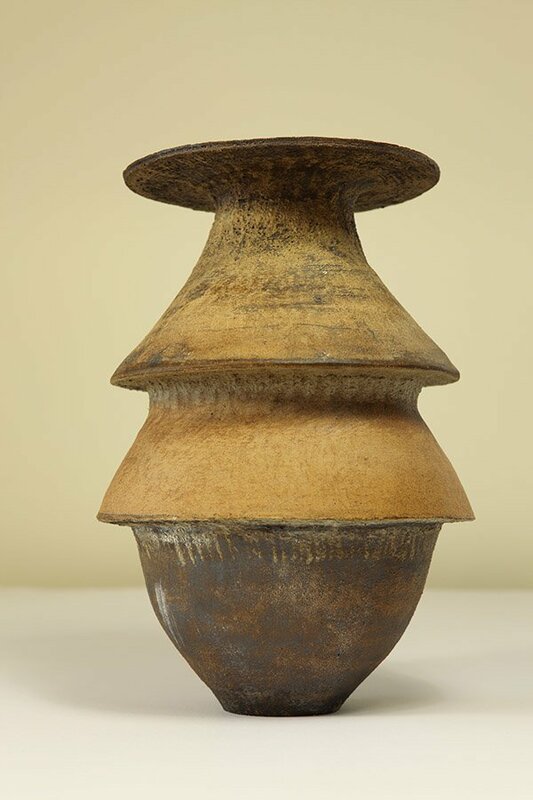 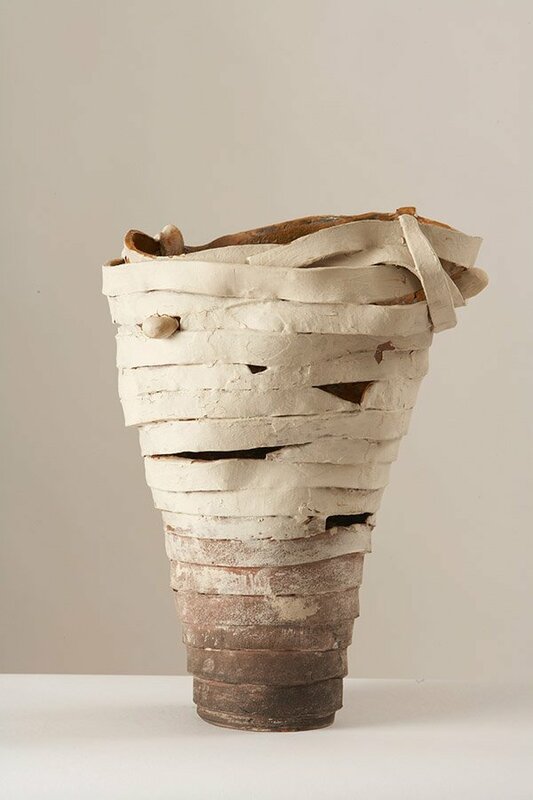 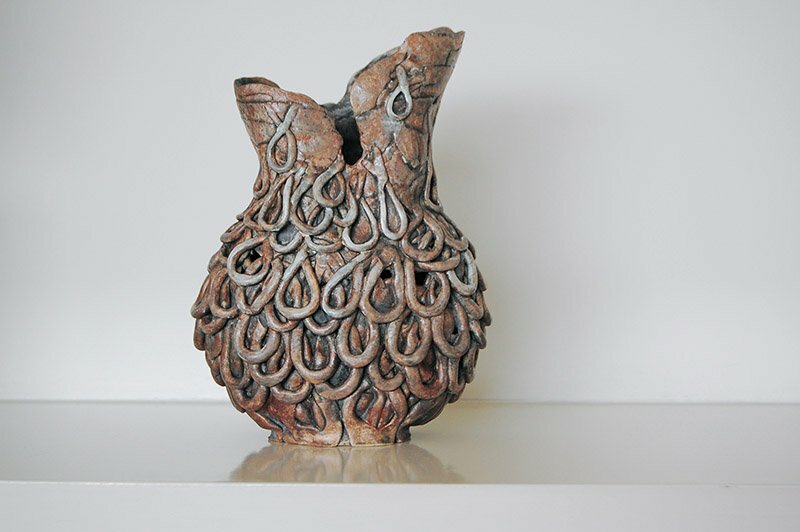 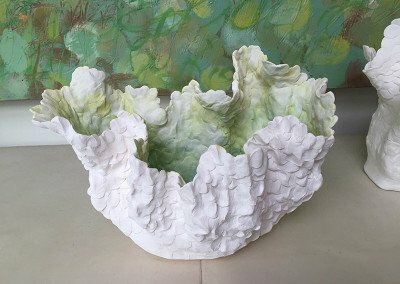 My interest in archeology and ancient objects led me to explore different ways of making and decorating vessels. 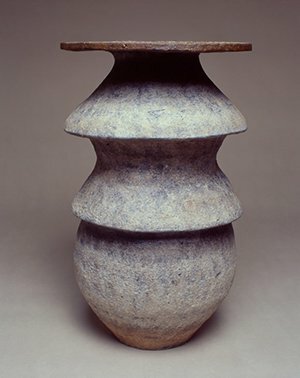 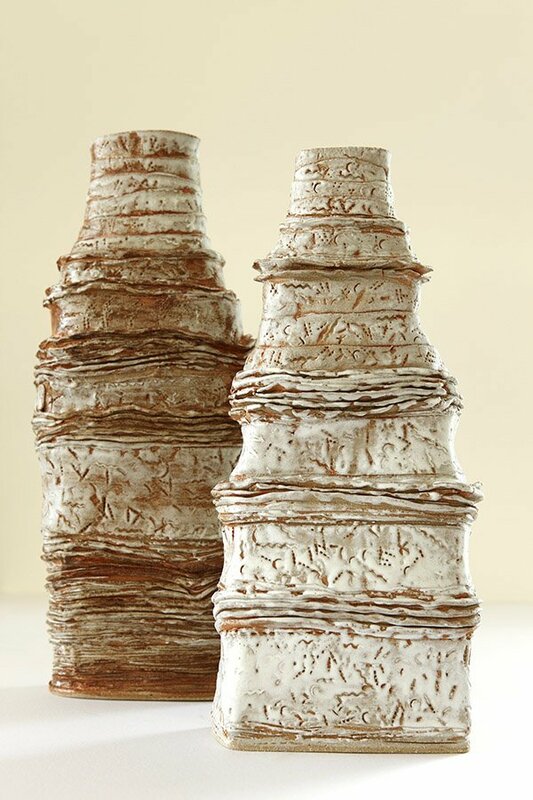 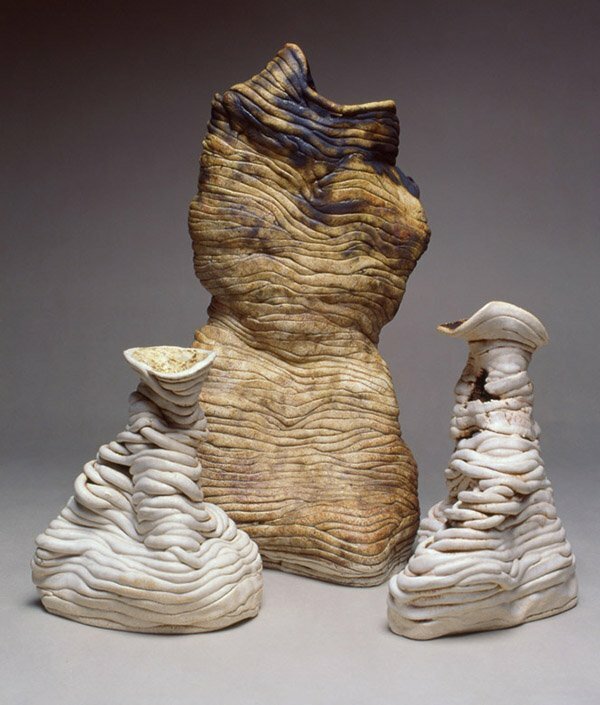 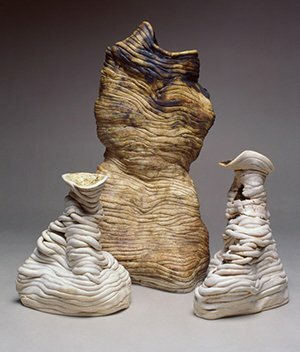 In this collection, I used stoneware and earthenware clays, mixing engobes with manganese and rutile on many of the pieces to achieve the correct patina.